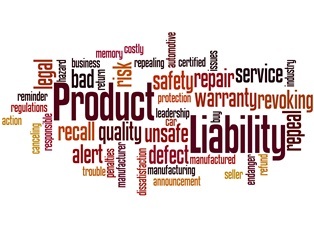 What defenses are commonly used against a product liability claim? Consumers injured by defective or unreasonably dangerous products may be entitled to compensation from the product's manufacturer or seller. However, financial recovery in product liability cases is far from guaranteed. Plaintiffs who file product liability claims often find themselves going head-to-head with high-powered corporate attorneys who are committed to finding ways to reduce their client's financial responsibility. 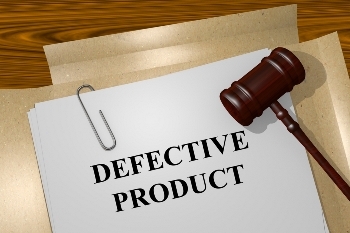 To achieve this goal, product liability defense attorneys may employ a variety of tactics designed to refute the plaintiff's arguments, defeat the claim, or limit their client's legal liability. If you're considering taking legal action after sustaining serious injuries from a defective or dangerous product, be prepared for these common product liability claim defenses. Some state laws such as statutes of limitation or statutes of repose may be offered as defenses in product liability claims. Statutes of limitation determine exactly how long a would-be plaintiff has to file a particular type of lawsuit. In Tennessee, the statute of limitations for product liability injury cases is one year, so the lawsuit must be filed within one year of the date the injury occurred. Filing a lawsuit after the statute of limitations has expired will, in most instances, result in the case being thrown out. While statutes of limitation dictate how long a plaintiff has to file a lawsuit after sustaining an injury, statutes of repose cut off the right of action following the elapse of a specified time frame. This means, you can be barred from bringing a product liability claim, even if your injury has not yet occurred when the statute of repose expires. Tennessee has a 10-year statute of repose for product liability claims that bars plaintiffs from filing lawsuits against a product's manufacturer or seller if it's been more than 10 years since the product in question was first sold to consumers. Comparative or contributory negligence. These defenses assert that the plaintiff was at least partially at fault for his own injuries. Because Tennessee follows modified comparative fault rules, plaintiffs who are partially to blame for their injuries can still potentially collect compensation provided their fault in causing the injury is 49% or less. However, comparative negligence may be used to reduce the amount of damages the plaintiff receives. Assumption of risk. Product liability attorneys may argue that the plaintiff was aware of the risks surrounding the use of the product in question but chose to voluntarily expose himself to those risks, rather than attempt to avoid them. Product modification or alteration. If the plaintiff or a third party modified or altered the product such as changing the design, construction, or formula or by removing relevant warnings or instructions, it may provide the product manufacturer or seller named in the lawsuit with an effective defense against liability. Product misuse. Attorneys for the defense may argue that the plaintiff was injured while using the product in a way that wasn't intended and couldn't have reasonably been foreseen by its maker. Product liability defense attorneys may also try to help clients avoid liability or reduce their financial obligations to plaintiffs by claiming that the defendant's product complies with all government or industry standards. Attorneys may also opt for an “unusually susceptible consumer” defense, which tries to link the plaintiff's injuries to allergies or susceptibilities that couldn't have been foreseen by the manufacturer or seller. If you were injured by a defective or dangerous product, you may be eligible for compensation. Experienced product liability lawyers can help you address potential defenses that could be used in your case. Contact Holton Law Firm today to schedule a free initial consultation to discuss the details of your claim with a legal professional. What if I've used a defective product in a way not intended by the manufacturer? When a consumer purchases a product, he does so with the expectation that the product will be both safe and effective. Buyers trust that manufacturers have upheld their responsibility to let only tested goods out into the market. There are times, however, when this is not the case. Dangerous or defective products find their way into the hands of consumers and cause significant harm. In some cases, the liability of the manufacturer is clear. However, there are other times when a consumer is unsure of his rights, especially when the product was not necessarily used as intended. So, it’s important for consumers to know their options. Defects can be shown in design, manufacturing, or failure to warn. A design defect would indicate an inherent flaw in the product that makes it dangerous, while a manufacturing defect would be a problem with some specific part of the product. Failure to warn refers to a manufacturer’s duty to provide warnings about ways in which the product could potentially cause harm and instructions for its proper use. Who Is Liable When Consumers Don’t Follow Use Instructions? In general, it is expected that a consumer follow the product instructions and use the product as the manufacturer intended. However, there is some leeway when addressing this guideline. Tennessee statutes state that manufacturers should take into consideration both the intended use and other uses that could be reasonably expected from the general public. This means, even if a person is injured while using a product outside of the specific intent, but still in a manner that is reasonable for other ordinary consumers, the victim could still pursue a legal claim. Manufacturers should offer products that will be safe in all of the ways people may be expected to use them. While this guideline may not apply in every case, it can be possible to obtain compensation if you or someone you love suffered injuries from a defective product even if it was used outside its stated purpose. Every situation is unique, and the experienced product liability attorneys at Holton Law Firm can help you understand your rights. Call our Memphis office today to learn more about your possible legal options, and schedule a free, no-obligation consultation. It there Somewhere to Check to see if a Product has been recalled? I just read that one of my Prescriptions has been recalled, what should I do? How Can I find Out if the Medicine I am on is recalled? If you have questions about drug recalls and drug injury claims, you can contact us at the Holton Law Firm so we can investigate your claim. We keep up with the latest drug safety information and what claims are being brought and why.